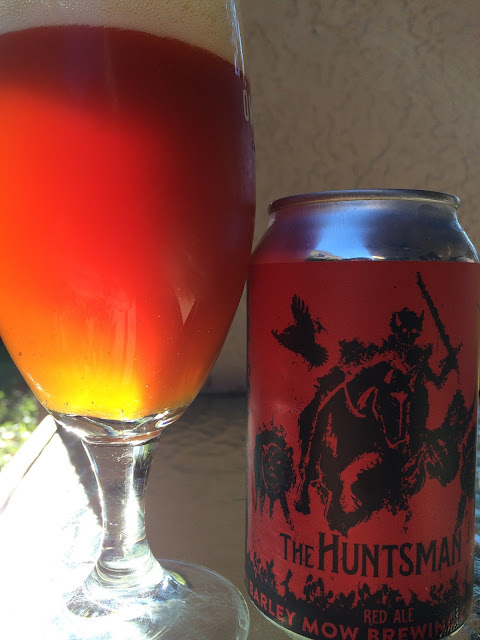 I grabbed a can of Barley Mow Brewing's The Huntsman Red Ale a few days ago. You'll probably recall that this was a favorite over at the brewery last month during #EpicTampaBreweryTour. The can art is pretty foreboding! Abstract Skeletor is riding his devil horse alongside a vicious pack of wolves while the scavenger birds wait for the carnage left behind. 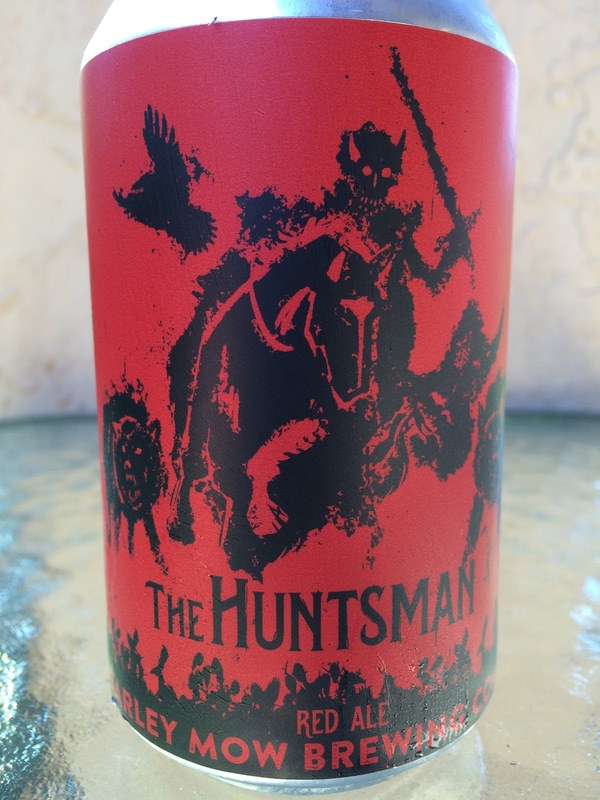 That's probably my interpretation, though not bad since the explanation of who "The Huntsman" is can be found on the back of the label. The brewery tasting room was dark but I didn't know they were dark this way too! Huge caramel aroma. 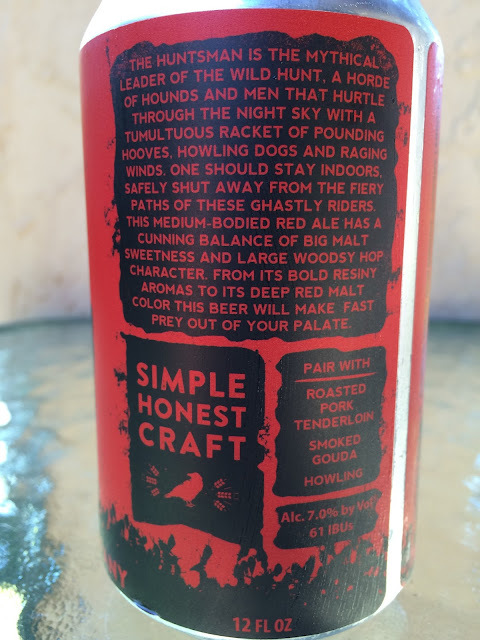 Similar flavors follow, with a spicy and hoppy citrus balance that follows immediately. A little herbal. And some alcohol flavor on the finish, a slight turn off. Medium body and definitely not the leader of the wild hunt, but still pretty tasty. Liked it.